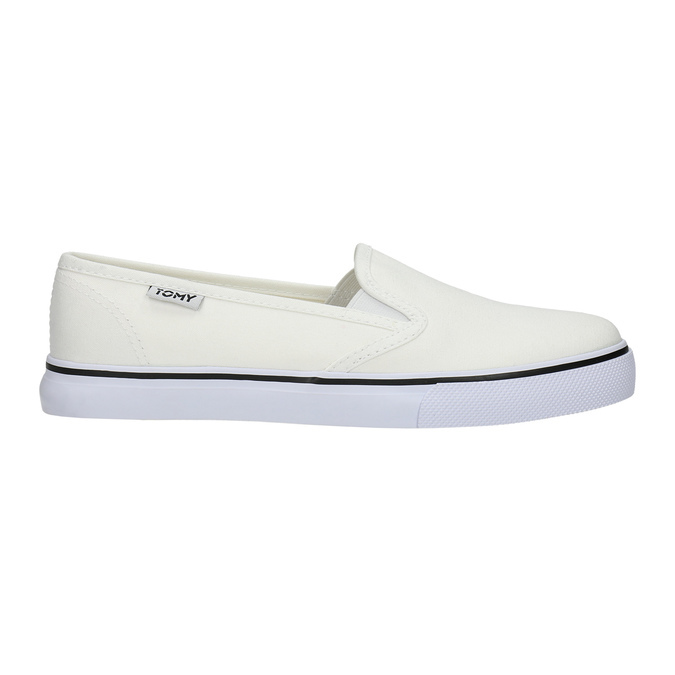 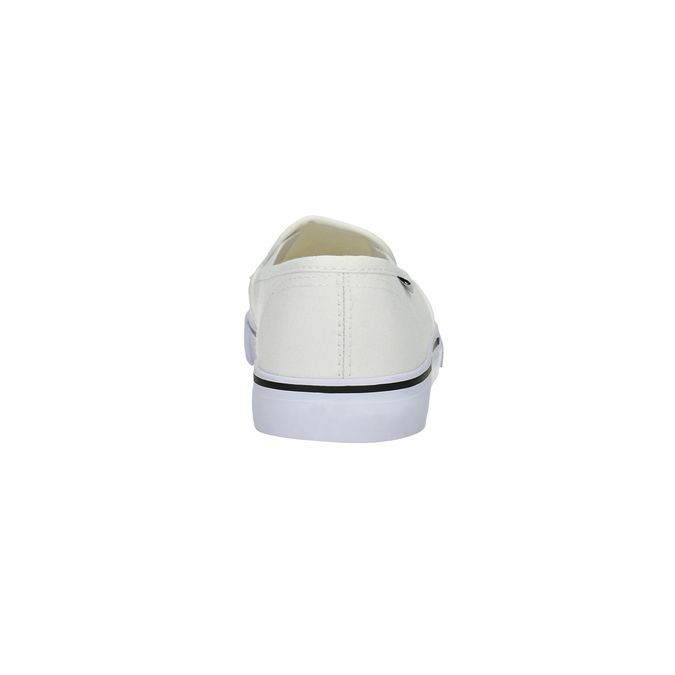 These Tomy Takkies ladies’ slip-ons have a white textile upper – this will highlight your tan nicely. 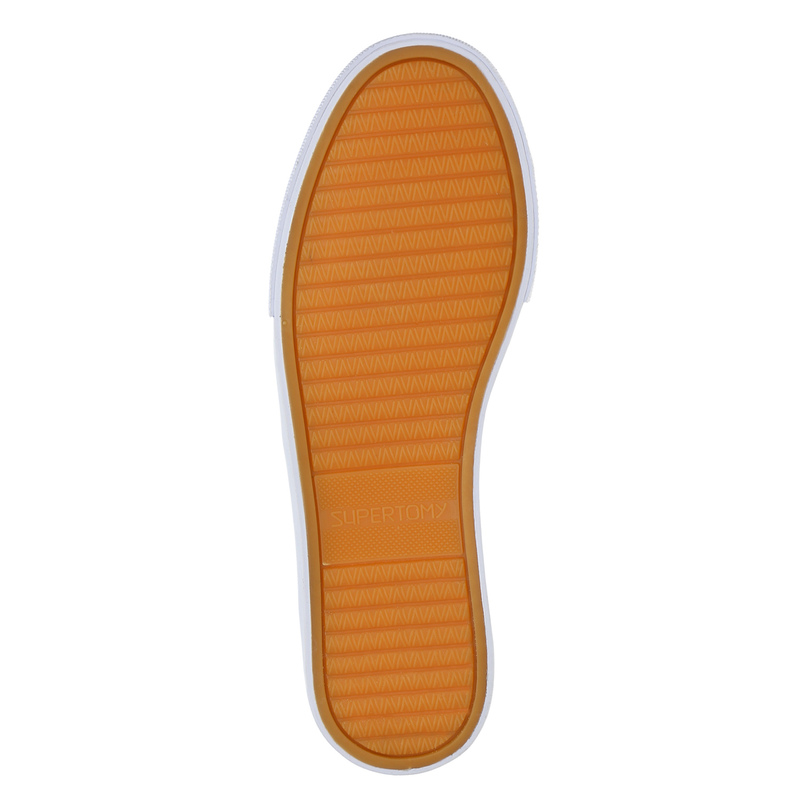 Naturally they have a comfortable sole to keep your feet feeling good all day long ad well as elasticated sides to make them easy to put on. 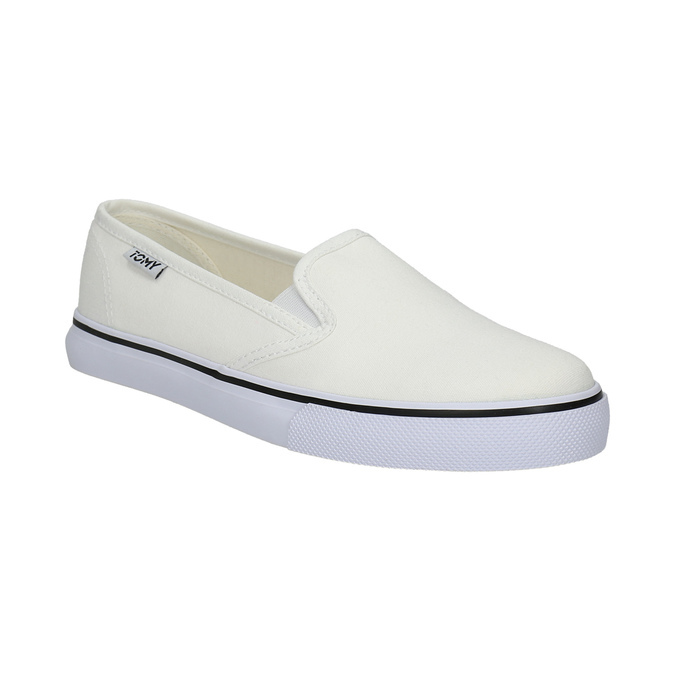 These will look great with a summer patterned dress or with turned-up trousers and a bomber jacket.